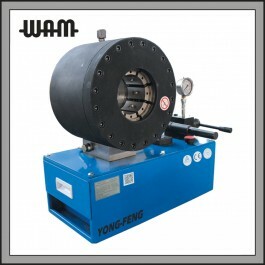 The YJK-32S crimper, whose oil pump is driven manually, is suitable for service vans and areas without power. It is used to withhold hose assemblies up to 1 1/4”. Handy manual crimper for workshop and mobile vans. 2019© Pipeline Wam® Industries. All Rights Reserved.